London again, taken on Whitehall. 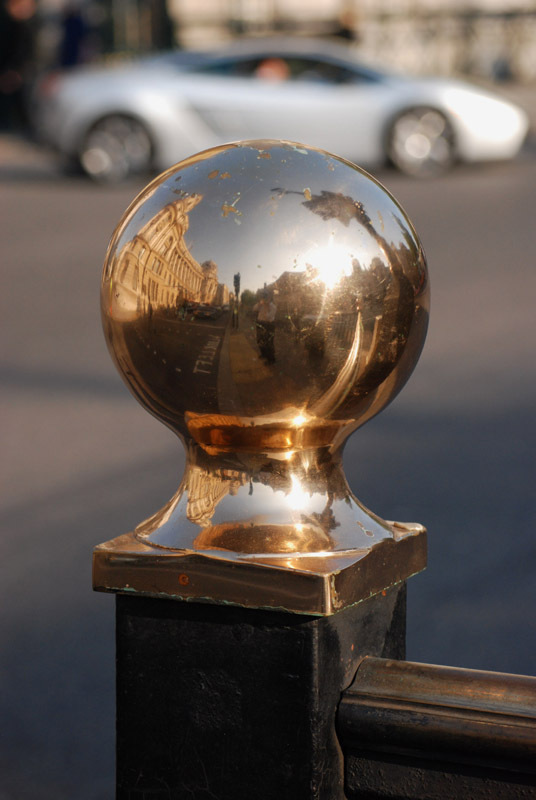 Note the architecture reflected in the brass sphere. Really nice. I like the "new and old" composition with the car in the background. There is a tension between the static and the dynamic that speak to like in the postmodern city. And with your reflection in the globe of the post it personalizes this as your own petit recit or little narrative... OK, so I really want to be an art critic one day! I'm really glad you're there and enjoying the trip! What about the Lamborghini Gallardo over there ?